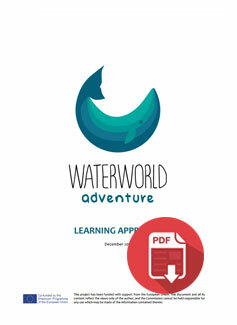 The main goal of this project is to create and make available online to educators, an educational interactive ebook – WaterWorldAdventure eBook – to improve the Ocean Literacy of pre-school children (3-6 years old). The eBook will be developed considering: 7 Essential Principles and the Fundamental Concepts of the Ocean Literacy Framework, developed by the National Marine Educators Association in the US, that is the world reference in this area; Good practices of storytelling and interactive stories, specifically for this age group; thus guaranteeing the robustness of the pedagogical approach and ensuring the alignment with the end users needs (teachers and parents). Along with the interactive story, it will be developed a Facilitator’s Guide for teachers and parents, to help them make the most out of learning opportunity provided by the book. The WaterWorldAdventure eBook will feature an engaging story that address specific contents related to the Ocean and adequate for the targeted aged group. 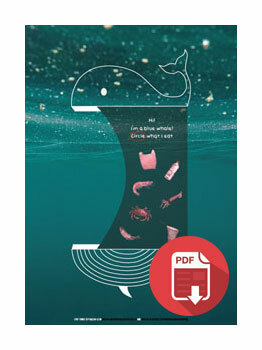 It will specifically addresses the 7 Essential Principles and the Fundamental Concepts of the Ocean Literacy Framework. The purpose of this guide is to maximize the learning opportunities provided by the interactive eBook by proposing topics for reflection, exercises, activities etc. that can be used by teachers and parents with children.